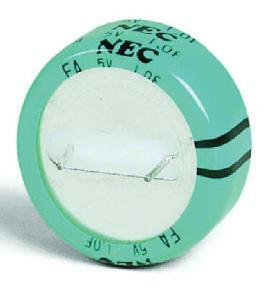 The One-Farad Capacitor demonstrates the charging and discharging of a capacitor and is handy for general experiments. The metal studs on this apparatus connect to the Genecon Hand Electric Generator to demonstrate the capacitor’s internal field current. When you turn the generator's handle, the capacitor stores electricity from the generator. When you let go of the handle, it redirects electricity back to the generator, so it can turn its handle on its own stored power. 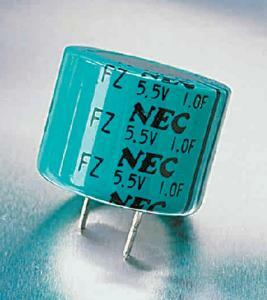 The capacitor has a maximum voltage of 5.5V and is only 2.9 cm in diameter and 2.5 cm high.